These are the stragglers--the four books I read in 2016 that I still haven't reviewed. I'm ready to get on with 2017, so I'm just lumping these four, entirely random books together and making the reviews short and sweet. This was actually one of my favorite books of the year, so it's a pity this review was neglected until now (I finished it nearly three months ago). However, as a small consolation, I actually wrote up some early thoughts when I was still in the middle of the book and published them here, so at least there's that. 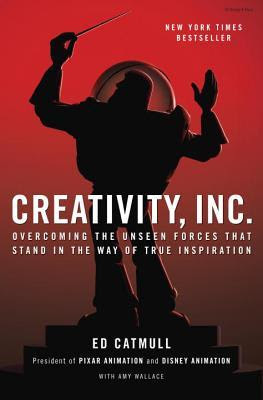 Ed Catmull is one of the founders of Pixar, and this memoir-of-sorts is a candid look at creativity--both in the workplace and individually. He examines what facilitates and hampers it and how creativity can be used to make a lasting difference. I expected this book to be interesting (and it was), but I was surprised with how applicable it was to my own life (he talks quite a bit about effective ways to manage groups of people, but even this was amazingly applicable to my own position as manager of the home). Especially in this season of new beginnings and goals, I find myself thinking back on some of the things I learned, such as: action is better than motivational go-words; "always take a chance on better, even if it seems threatening;" analyze the mistake, not the person; there's a difference between creation and discovery; stay flexible, even while forming a plan; but when you plan, break it down into measurable goals and processes. Anyway, if you're looking to kick off the new year with some reading that will inspire you to tackle some of those personal projects you've been afraid of, this would be a great choice. This book has been on my to-read list for a long time. I intended to read it in 2015 when one of my reading goals was, "read a food memoir." But sadly, neither of my libraries had it, so I had to make a last minute substitution. However, I did do two things to help it happen this year: I requested the library to buy a copy (which they did), and I purchased it for myself when the kindle edition went on sale. I was saving it for November because I love reading food books prior to Thanksgiving, but then I was so swamped with other books, it looked like I was going to miss it for the second year in a row (and I even wailed about it a bit when Suzanne and I did our food book episode). But a little determination can go a long way, and I was absolutely set on reading it, so I squeezed it in. But for all I'd been looking forward to it and for all of the rave reviews I'd heard about it, I have to admit that it was just a tiny bit of a letdown for me. Maybe it had just been hyped up a little too much, but I actually think the real reason I didn't absolutely love it is that it felt a bit too much like the sort of book Brené Brown would write if Brené Brown wrote about food. How's that for cryptic? To clarify, Brené Brown (author of Daring Greatly, among others) talks a lot about vulnerability and accepting oneself, and, mixed in with the recipes and the personal anecdotes, that's what Shauna Niequist talked about, too. And sometimes, in spite of the true genuineness behind it, it felt a little forced to me, and I found myself racing through those essays about embracing your own body in a bathing suit so that I could get back to the actual stories from her own life and the food that went with them. I usually love self-help books, but this one just didn't jive the way I wanted it to. In the realm of food memoirs, I still far prefer Ruth Reichl or Molly Wizenburg. This book will probably be of little interest to those readers who are not of the same faith as me. But who knows? In light of current political and world events, the message felt very timely. The basic premise of the book is that the tide of the Civil War did not turn to the Union's favor until President Abraham Lincoln renewed the national covenant with God (the national covenant = God will bless this land if the people are righteous and acknowledge His divine hand). The war did not begin as a means to end slavery, but after much personal study and prayer, Abraham Lincoln realized that the equal treatment of all human beings was at the heart of the nation's turmoil. He knew the nation at large needed to repent and abolish any practices that would persecute any of its people (this included African-Americans, of course, but also other smaller groups, such as the early Mormons who had been driven from their homes and tormented while their appeals to the government went unheeded). The Emancipation Proclamation, as well as the Thirteenth and Fourteenth Amendments, eventually came about because of Lincoln's realization (and soon, the entire Union was behind him). 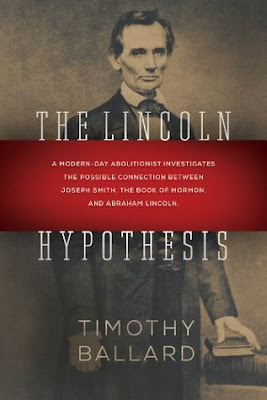 The author speculates quite a bit about what led Lincoln to his decisions (for example, apparently Lincoln checked out a Book of Mormon from the Library of Congress right around the same time he was calling the nation to repentance), draws comparisons between Abraham Lincoln and Joseph Smith, and ties together prophecies in the scriptures with historical events, and although I found it all quite fascinating, I also tried to look at it honestly and candidly, with a healthy dose of skepticism. The author's writing style was not my favorite (a bit too conversational), but overall, it was a very enlightening and beneficial read. 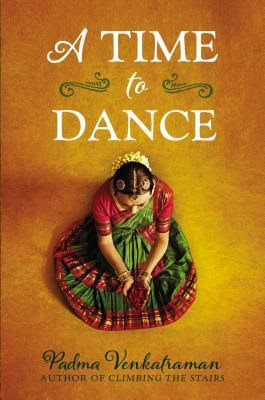 In a fairly recent post, Anne Bogel mentioned A Time to Dance as a book her 11-year-old daughter was currently enjoying. I'm embarrassed to admit that it caught my interest because Anne said it was a verse novel, and I was on the hunt for faster reads since the end of the year was fast approaching and I was still a long way off from my numbers goal. I knew I could fly through a verse novel and quickly check off one more book, so I checked it out. So maybe my motive for reading it was a little contrived (and, as it happened, it ended up being the final book I needed to reach my numbers goal, and I literally finished it at 3:00pm on New Year's Eve), but it ended up being one of the best books I read all year, and that is not something I say lightly. Veda is an accomplished Bharatanatyam dancer. She lives for dance and feels a thrill like no other when she's in front of an audience. But one evening, on the drive home after a competition, the bus she's on is in a terrible accident. Veda's foot is crushed and has to be amputated, and when she wakes up and discovers what has happened, her dreams quickly evaporate as well ("I want to tell the nurses no scale can measure / the pain of my dreams / dancing / beyond reach"). This was as near to a perfect novel as you can get for me. Veda's personal growth throughout the book was beautifully slow and steady. Of course, there's the growth you would expect: somehow Veda is going to dance again. But while that's all well and good, it's also a bit selfish and shallow. Luckily, there's so much more to Veda than just her accomplishments as a dancer, and as the story progresses and she overcomes challenges and grief and pain, she blossoms as a person. She becomes selfless and compassionate and encouraging. She faces doubts in her personal faith and comes away triumphant. There was one scene that I especially loved where Veda is performing two parts in a play: one is an old, sick woman who visits Buddha and who represents "the pain of all humanity;" the second is Gautami, a woman who goes to Buddha in the hopes that he will bring her dead son back to life. Veda's teacher wants her to acknowledge her own deep emotions as she enacts her roles, but that forces Veda to go places she doesn't want to go. I loved the way the old woman and Gautami provided a framework for Veda's own healing and growth. I'm convinced the story would not have had the same emotional impact if it had been told in prose rather than free verse. The poetry added a quiet depth that left me breathless, and I'm amazed again by how much can be said with so few words. I finished it as we were driving to my parents' for some New Year's Eve festivities. As soon as we got there, I pushed it into my sister's hands and said, "You have to read this book." And she did, finishing it just after midnight. What a perfect way to end (or begin) the year. Have you read any of these books? As always, I'd love it if you'd share your thoughts and opinions in the comments! 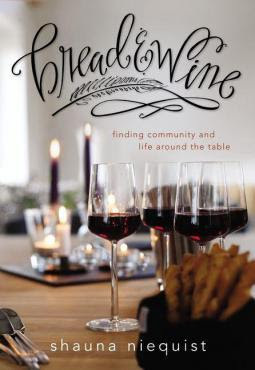 I loved Bread and Wine the first time I read it so much that I bought a copy. I really latched on to the idea of hospitality and building a community. The second time I read it, the author's effulgent emotion came through a bit more. I think Neiquist is way more of an emotional, expressive person than I am, and so my second reading wasn't quite as amazing as my first. I wonder how I'll feel about this book as I continue to read it. Reading as the old year ends and the new year begins sounds so perfect! I need to find a group of friends who would be willing to do a reading party for NYE. Ooops, I meant to say effusive emotion, not effulgent emotion. Basically what I'm getting at is that I felt it was a bit over-the-top. I definitely liked the idea of not getting worked up over hosting...choosing recipes and foods that you feel comfortable with and not trying to make everything a showstopper. And I loved her stories about her family and her boys. But yes, it was a little overly emotional for me, and I also didn't feel compelled to make any of the recipes (which is rare for me with a book like this). Your husband is right, Lincoln Johnson is not great. But Linc or Link Johnson sounds GREAT and is adorable. And he could be named for Lincoln and for linking things and people together... I know a guy named Cem, which is the Turkish word for "togetherness." Totally cool. I think Linc/k is cool. Of course you'd have to decide if you are OK with people wondering if you named him after the hero of the Zelda games. But then, them asking if you did would give you a chance to explain your reasons. (I know, because we named our daughter Jubilee, and get asked about the X-men). Anyway, thanks for the book recommendations! Love your opinion on the Lincoln name debate! :-) I have to say, Linc would be a problem for me simply because I LOVE the name Lincoln, and I think I would always regret that I couldn't actually call him Lincoln because we'd named him Linc instead. That said, I don't love the sound of Lincoln Johnson either...the last syllables are too similar, plus it sounds a little too close to Lindon Johnson.